1. the act or process of melting. 2. the merging or coherence of adjacent parts or bodies. 3. the coordination of separate images of the same object in the two eyes into one. 4. the operative formation of an ankylosis or arthrosis. diaphyseal-epiphyseal fusion operative establishment of bony union between the epiphysis and diaphysis of a bone. spinal fusion surgical creation of ankylosis between contiguous vertebrae; used in treatment of spondylosis and ruptured intervertebral disk. Called also spondylosyndesis. 1. Liquefaction, as by melting by heat. 2. Union, as by joining together, for example, bone fusion. 3. The blending of slightly different images from each eye into a single perception. 4. The joining of two or more adjacent teeth during their development by a dentinal union. 5. Joining of two genes, often neighboring genes. 6. The joining of two bones into a single unit, thereby obliterating motion between the two. 7. The process in which two membranes are joined together. anterior interbody fusion spinal fusion in the lumbar region using a retroperitoneal approach, with immobilization by bone grafts on the anterior and lateral surfaces. spinal fusion operative immobilization or ankylosis of two or more vertebrae, often with diskectomy or laminectomy. 1 the joining into a single entity, as in optic fusion. 3 the surgical joining of two or more vertebrae, performed to stabilize a segment of the spinal column after severe trauma, herniation of a disk, or degenerative disease. Under general anesthesia the cartilage pads are removed from between the posterior parts of the involved vertebrae. Bone chips are cut from one of the patient's iliac crests and inserted in place of the cartilage, fusing the articulating surfaces into one segment of bone. 4 (in psychiatry) the tendency of two people who are experiencing an intense emotion to unite. Medtalk The joining of ≥ 2 distinct entities. See Binaural fusion Orthopedics Operative joining of 2 bones or a single bone with a pseudarthrosis. See Pseudarthrosis, Spinal fusion Psychoanalysis The joining of instincts and objects Sports medicine The trendy combination of 2 or more types of exercise–eg, martial arts, swimming and free weights, theoretically to improve fitness. See Exercise. 2. Union, as by joining together. The act or process of mixing or uniting. binocular fusion See sensory fusion. central fusion See sensory fusion. chiastopic f . Fusion obtained by voluntary convergence on two targets separated in space and such that the right eye fixates the left target and the left eye the right target. This is often facilitated by fixating a small mark above a single aperture placed in front of the two targets and then slowly shifting one's gaze to the targets. The procedure is aimed at improving positive fusional convergence. See fusional convergence; orthopic fusion. critical fusion frequency See critical fusion frequency. first-degree fusion; flat fusion See Worth's classification of binocular vision. fusion field An area around the fovea of each eye within which the fusion reflex is initiated. If the disparate images fall within this area motor fusion will occur, but if the disparity is too great there will be no fusional movement. This field is much larger horizontally than vertically. flat fusion Binocular fusion in which the single percept is two-dimensional and without stereoscopic effect. Syn. second-degree fusion. See Worth's classification of binocular vision. fusion lock See binocular lock; associated heterophoria. motor fusion One of the components of convergence in which the eyes move until the object of regard falls on corresponding retinal areas (e.g. the foveas) in response to disparate retinal stimuli. Syn. disparity vergence; fusion reflex. See fusional convergence; sensory fusion; retinal corresponding points; vergence facility. orthopic fusion Fusion obtained by voluntary divergence on two targets separated in space and such that the right eye fixates the right target and the left eye the left target. This is often facilitated by looking beyond the targets and then slowly shifting one's gaze to the targets through double apertures placed in front of them. This procedure is aimed at improving negative fusional convergence. See fusional convergence; chiastopic fusion. peripheral fusion See sensory fusion. second-degree fusion See flat fusion. sensory fusion The neural process by which the images in each retina are synthesized or integrated into a single percept. In normal binocular vision, this process occurs when corresponding (or nearly corresponding) regions of the retina are stimulated. This process can occur when the images are either in the central part of the retinae (central fusion) or in the peripheral part of the retinae (peripheral fusion). Syn. binocular fusion. See anaglyph; fusional convergence; haploscope; SILO response; retinal corresponding points; random-dot stereogram; bar reading test; diplopia test; Worth's four dot test. third-degree fusion See Worth's classification of binocular vision. 1. 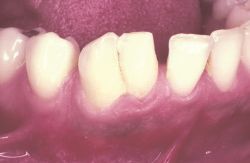 The joining of two or more adjacent teeth during their development by a dentinal union. 2. Liquefaction, as by melting by heat. 3. Union, as by joining together, e.g., bone fusion. 4. Joining of two bones into a single unit, thereby obliterating motion between the two. n 1. the uniting or joining together of two or more entities. The fusion temperature of an alloy lies just below the lower limit of its melting range, which is particularly important in soldering operations because temperatures near or above fusion temperature will decrease ductility. 2. the process of producing fused teeth. 3. during prenatal development, the joining of embryonic tissues of two separate surfaces or the elimination of a groove between two adjacent swellings. See also crescence and range, melting. n the union of atomic nuclei to form heavier nuclei, resulting in the release of enormous quantities of energy when certain light elements unite. n See metal, fusion of. n a genus of bacteria containing gram-negative, nonsporeforming, obligately anerobic rods that produce butyric acid as a major metabolic product. These organisms are normally in the oral flora; some species are pathogenic. 3. the operative formation of an ankylosis or arthrosis. operative establishment of bony union between the epiphysis and diaphysis of a bone. nerve anastomosis done to induce regeneration for resupplying empty tracts of a nerve with new growth of fibers. the fusion of two atomic nuclei to form a single heavier nucleus, resulting in the release of enormous amounts of energy. surgical creation of ankylosis between contiguous vertebrae; spondylosyndesis. Q. I'm having a lot of pain in my right leg after back fusion surgery. Any ideas why? This was my third back surgery. The doctor fused 2 levels. Before surgery I was having pain in my left leg. It is now fine. My right leg however is giving me fits. I've been on Neurontin (Gabopentin is the generic) for 4 weeks now and have very little relief. A. Thank you Brandon for your input. I have talked with my surgeon on several occasions and he is as baffled by this as I am. His next course of action will be a myleogram. His is reluctant to do this because of the pain and discomfort involved. This is the most baffling thing I have ever experienced, especially when my very talented surgeon is puzzled by it. I do appreciate your input, and will discuss this with my doctor...Perhaps it is a blood flow problem. I have been walking and wear compression hose, with no relief unfortunately. Paul Palmer believe cold fusion may be occurring (SN: 4/8/89, p.
In addition, he reports, the detected neutrons carry the amount of energy that would be expected if they were emitted during certain fusion reactions. The message from the workshop is that the Pons-Fleischmann results may come from an unexpected chemical reaction that occurs in parallel with, but independent of, any low fusion levels, Schrieffer says. Tass said Moscow University will begin a major research program into the new form of fusion. National Laboratory have posited theories to explain -- or explain away -- the alleged new type of cold fusion. Jones and his colleagues spent years developing an extremely sensitive detector for measuring even tiny numbers of fusion-produced neutrons, an effort many observers say greatly strengthens their claim of fusion. Although this discrepancy demands caution in claiming that the coveted age of fusion nears, Jones and his colleagues remain optimistic. suggested that we "might be giving more than we intend to give,' pointing out that up to now the main goal of the Soviet fusion program has not been the production of electrical power, but fuel for their fission reactors. The road to magnetic fusion? Raising the temperature and manipulatingthe density and proportions of the fuel mix seem to be able to enhance the efficiency, but above a certain temperature the resonance disappears, and so, says Jones, "You can't make a bomb with muon-catalyzed fusion. Those that do are out of the game and can't repeat the fusion cycle.